Two Members of Parliament from Bungoma County who are also members of the security committee have pointed accusing fingers at the police for failing in their duties, a week after a boda boda rider, was shot by an armed gang, and arrests haven’t been made. 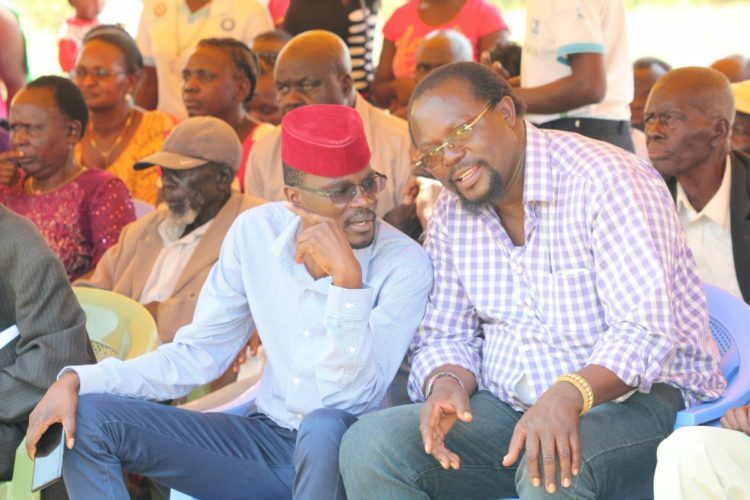 Kanduyi MP Wafula Wamunyinyi and Kimilili MP Didmus Barasa have expressed their displeasure with the police saying the armed gang attacked a week ago in Bungoma town but have not been traced, yet they shot several people as they fled. Wamunyinyi said it is disheartening that the late boda boda rider has left behind a young family and the police haven’t even issued a statement regarding the matter. He added that as a member of the security committee he will push for changes to be effected saying police posts cannot be strategically placed yet when emergency calls the police are nowhere to be found. His sentiments were echoed by the Kimilili legislator Didmus Barasa who said it is high time the officers who have overstayed at police posts to be transferred with immediate effect as they have proved to be no longer effective.